Tarmac Sportz is delighted to now be able to offer the full range of TEIN coilovers and suspension parts. These products and parts can be used for motorsport applications, such as racing or drifting, or to adjust the height of your vehicle. On top of coilovers and suspensions parts, Tarmac Sportz now also offers the EDFCs that TEIN has to offer. These handy items allow you to switch the damping force of your coilovers to suit your needs. Whether you are on the street, racetrack or drifting, you can alter your vehicle’s setup to achieve the maximum in performance. With a dedication to providing the ultimate in performance parts, TEIN works on the basis that every car should be able to unlock its true potential. With that in mind, the company manufactures components that deliver every single time. 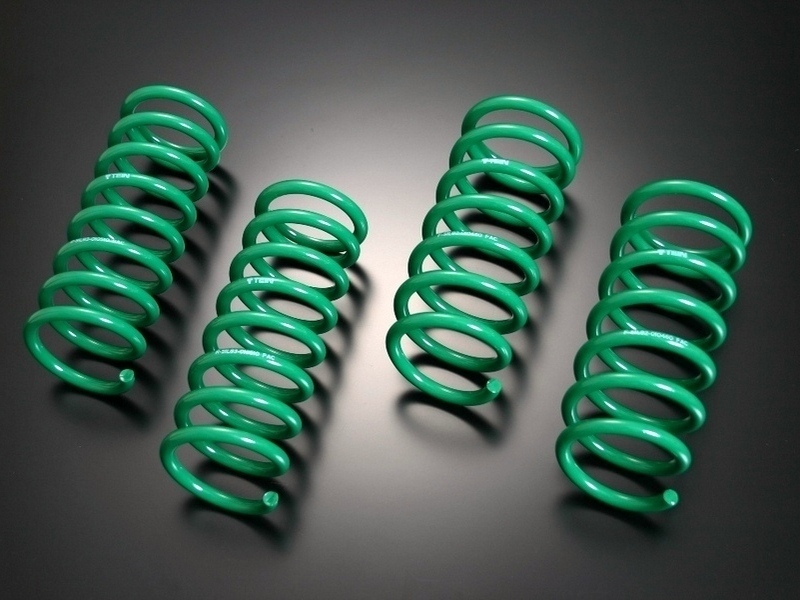 Specially manufactured to effectively power up a wide range of popular vehicles, quality is a standard that you can be sure of when you order TEIN coilovers and suspensions parts through Tarmac Sportz. With multiple premises, including facilities in Japan, the US and UK, the company knows exactly what is needed to get the best from vehicles for any given use. Each separate facility is responsible for contributing to the continued quality of the brand and its products. Each and every product has been tested in their facilities and been subjected to different conditions in testing. This allows TEIN coilovers and suspension parts to provide comprehensive qualities and features, proven to work in line with varying demand and conditions. TEIN has always had a vested interest in racing. The knowledge and experience gained from years of hands-on practice add to the effectiveness of these impressive enhancement parts. Having tackled a myriad of corners, a catalogue of driving conditions and a whole bunch of obstacles, the perfect solution for any obstruction has been crafted into TEIN’s impressive array of offerings. The company’s name shows an homage to its ultimate aim – technical innovation. This is has been achieved superbly with this range. TEIN coilovers and suspension kits let you control your vehicle how you’ve always wanted to. In fact, the company is one of very few producers to manufacture suspension kits built solely for drifting. If you’re looking for drift specific performance components, there aren’t many ranges that can be of use. Not only is this one able to supply parts built just for drifting, products are also of incredibly high quality. With a vast range of products tailored to fit an array of cars, TEIN remains a highly popular manufacturer. Here at Tarmac Sportz, you can easily find items suitable for your specific vehicle. Use the Supported Cars dropdown to filter EDFCs, coilovers and spring suspension parts for each make and model. Purchase the parts you want and you will soon be revelling in the glory of what will seem like a brand new car. Whatever you want or need, find your car’s perfect partner from Tarmac Sportz.